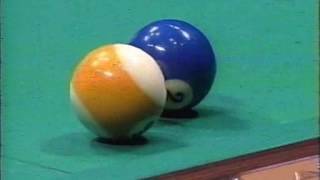 Hilights of the final match of the U.S. Open 9-Ball Championship 1994 (Chesapeake, USA) between Efren Reyes (Philippines) and Nick Varner (USA). 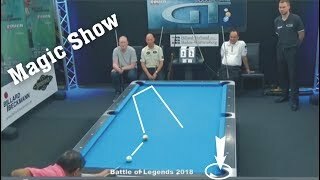 Audio note: There is background audio from the tournament director in the beginning, until the 6:30 mark. 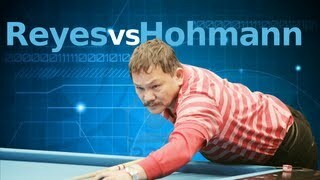 But don't let that turn you off this great match. 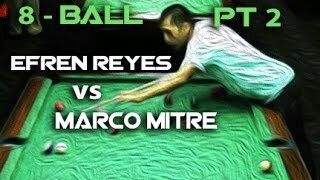 Facing the world's greatest player in Efren Reyes, John Schmidt looked untouchable after ten racks and was shooting a .980 performance average and leading 6-4. 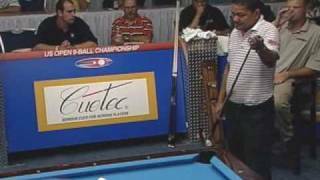 Then, Efren tied it at 8-8, watch what happens next.